Let me know how I can serve you best! 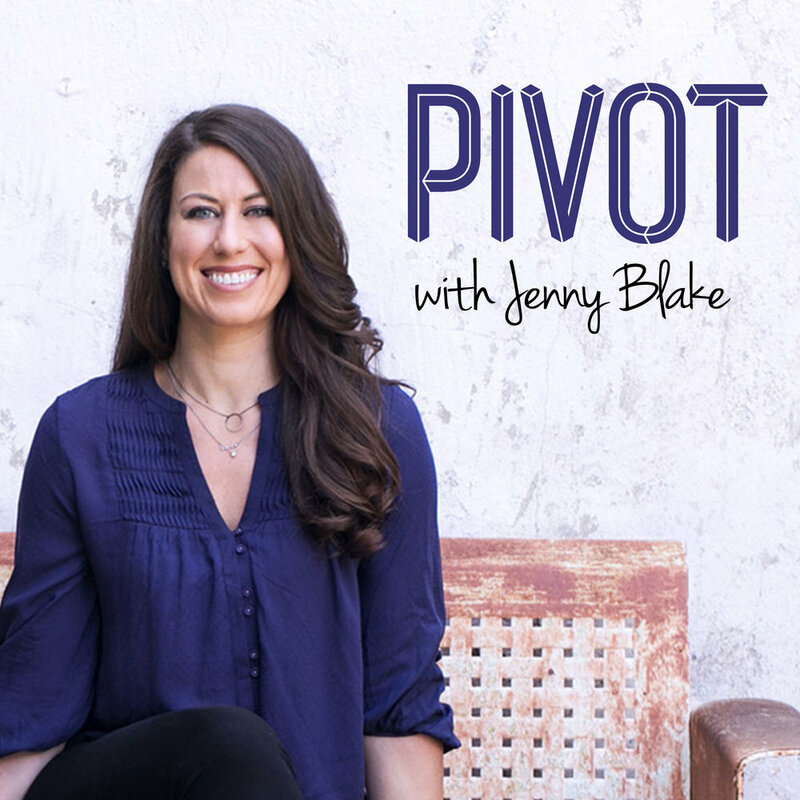 Take the listener survey and be entered to win a monthly giveaway of a signed copy of Pivot. As the Pivot Podcast rounds the corner into it’s fourth (!!) year and over 70 episodes across three publishing seasons, the show has grown into one of iTunes top podcasts in the Careers category, named by CNBC among 6 podcasts to make you smarter about your career, and selected by Entrepreneur as one of the top 20 female-hosted business podcasts. Producing the show does require a significant amount of work. It’s a labor of love, no doubt, and now I’m taking the pivot podcast to the next level once more. To keep the podcast going, growing, and with as high-quality production and editing as possible, I’d love your help in making it a more sustainable part of my business. Will you help support the show 2018 by becoming a Pivot Patron? Patreon is a cool service that’s like an ongoing kickstarter for creatives. It allows you, the listener, to designate a monthly contribution of your choosing, starting at the equivalent of donating a cup o’ tea to me each month. I have cooked up a whole batch of goodies at each supporter level that I think you’ll love and benefit from, everything from submitting specific questions for guests, to twice monthly Q&A calls with me in a private community for side-hustlers and solopreneurs, all the way to private coaching and even an in-person VIP strategy day with me in New York City. This show would not exist without you being here to listen. Enormous thanks from the bottom of my heart for all of your support thus far in the journey, and for any you are able to provide moving forward. I can’t wait to pivot the podcast once again and keep bringing you exactly what you love to listen to! To learn more and make an ongoing contribution, visit Patreon.com/pivot.